Can an IRA Be Rolled Over to Funeral Costs? Protect your IRA money from funeral home scams. 1. Will Burial Insurance Pay for a Green Funeral? The Internal Revenue Service allows you to roll money tax-free from one traditional individual retirement account to another. You can also roll your IRA nest egg into an employers' qualified retirement plan such as a 401(k), a deferred-compensation plan like a 457 or a tax-sheltered annuity like a 403. You can only roll a Roth IRA tax-free to another Roth-style account. If you want to use IRA money for any other purpose, such as funeral costs, you must withdraw it and pay any taxes due. Funerals can be expensive. Embalming costs average about $700 but can run as high as $3,000, according to a 2012 CNNMoney article. The average cost for steel caskets is $2,400, and wood can run you $3,500. A single burial plot can cost $1,500 to $6,000, plus the cost of having cemetery workers prepare it, which is another $600 to $2,000. You can lower these costs if you choose cremation, but a funeral home may charge you $800 for a rented casket to view the departed. The cost of urns can vary widely. When you add flowers, music and other costs, you might face a total bill easily exceeding $10,000. Organizations such as the Funeral Consumers Alliance can help you make cost-effective choices. If the deceased left behind an IRA, the beneficiary can withdraw money from it without worrying about the 10 percent early withdrawal penalty, even if the deceased died before age 59 1/2. The IRS offers several exemptions to this penalty, including the owner's death. However, normal taxes are still due on a traditional IRA withdrawal. Large IRAs can also trigger the estate tax provisions. As of 2013, an individual has a $5.25 million exemption from estate tax, and money left to a spouse is free from this tax. The U.S. Federal Trade Commission enforces a set of regulations, called the "Funeral Rule," which helps you understand the costs you'll encounter and comparison shop for funeral homes. You have the right to buy only the arrangements you want and get prices over the phone. The funeral home must give you three itemized price lists, covering the costs of caskets, outer burial containers and any legally required goods or services. You must receive a written invoice before paying. Under the Funeral Rule, you can use an "alternative container" for cremation -- cardboard or fiberboard will do. You don't need to have the body embalmed. 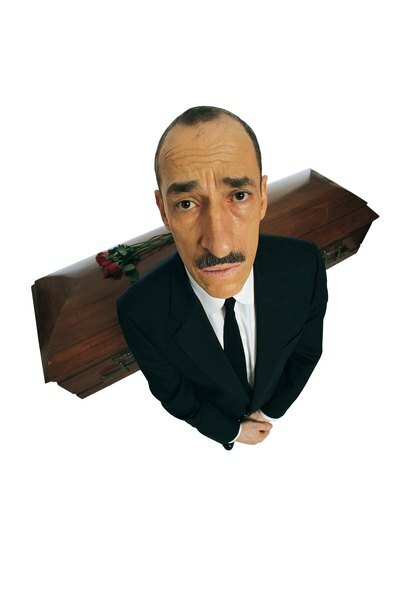 The Federal Trade Commission conducts undercover reviews of U.S. funeral homes. According to a 2012 article in the AARP Bulletin, the FTC found 23 of the 102 homes it investigated had significant violations, including not providing required price lists. To help avoid being scammed into overpaying for a funeral, the agency urges you not to prepay for one, as this ties up your money without any real benefit. Don't let a funeral home talk you out of a cremation, which is normally less expensive. You should insist on seeing all three of the home's price lists. Resist attempts to pressure you into extras and upgrades that serve no purpose. Will I Save Money on Electric Heating Bills by Installing a Heat Pump? What States Are Tax-Free for Disabled Veterans? Can You Write off a Doctor's Copay on Your Taxes?